'Mens Rea' is our introduction to 45 year old James Foster, veteran of the NYC police force and 29 year old Derek Moore assistant USA attorney and the beginnings of their relationship. At only 25 pages Ms. Edwards has made every word count. James meets Derek when they both work on the same case and he finds himself fascinated with the younger man but he's also conflicted by their age difference and he believes Derek is involved with Daniel a fellow officer who works with James. But at the same time he gets glimpses of what he thinks is interest from Derek. Needless to say James is both uncertain and at times confused by this. I was really impressed by how much story we're given in so few pages and by the fact that things didn't feel rushed but at the same time the story of how James and Derek's relationship begins feels complete. We're also given a cast of secondary characters who add both depth and interest to the the story...Derek's sister Lara and her fiance, Ben, his best friend Daniel. James's partner Daniel, his best friend Melanie, his son Sam and Sam's girlfriend Lydia and Kay, James's admin assistant. Add in a touch of humor and you've got me hooked...seriously this story was worth the read just for the banter between James and Derek it's entertaining and that first meeting of Derek with James's son was hilarious to say the least something that I could so easily see happening. 'Mens Rea' was a perfect introduction to a new series and its author. While there's definitely relationship between James and Derek and it's a solid constant in the story. 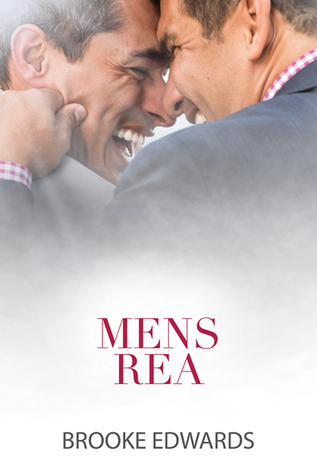 'Mens Rea' is much more than a romance story it's a story about two men with very busy demanding lives that frequently intersect and connect these men both professionally and personally. I found that there was a lot packed into this one including potential. 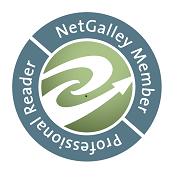 A copy of 'Mens Rea' was graciously provided by the author in exchange for an honest review.